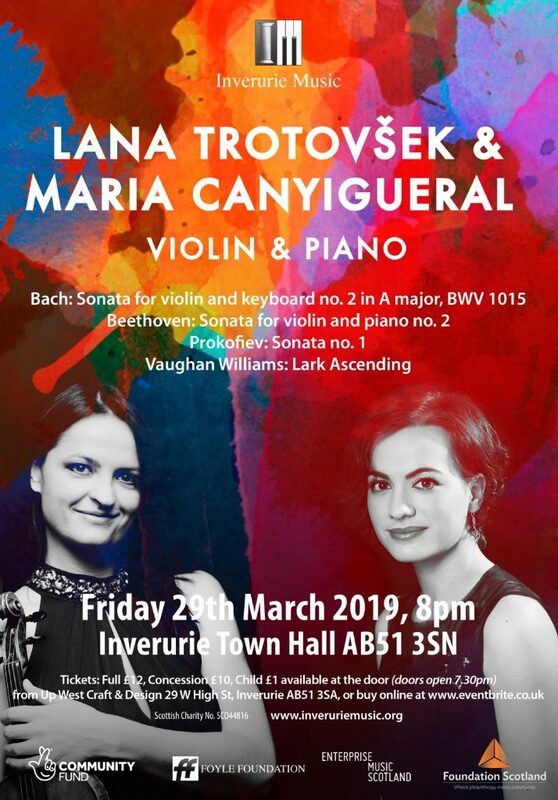 The last concert of our 2018-19 series will be on Friday March 29th at the Town Hall, Inverurie. Forget about Brexit for a few hours and come join us. We expect a big crowd as the artists are outstanding …and the concert ends with The Lark Ascending. The audience will be “in-the-round” at the Town Hall making for an intimate experience. 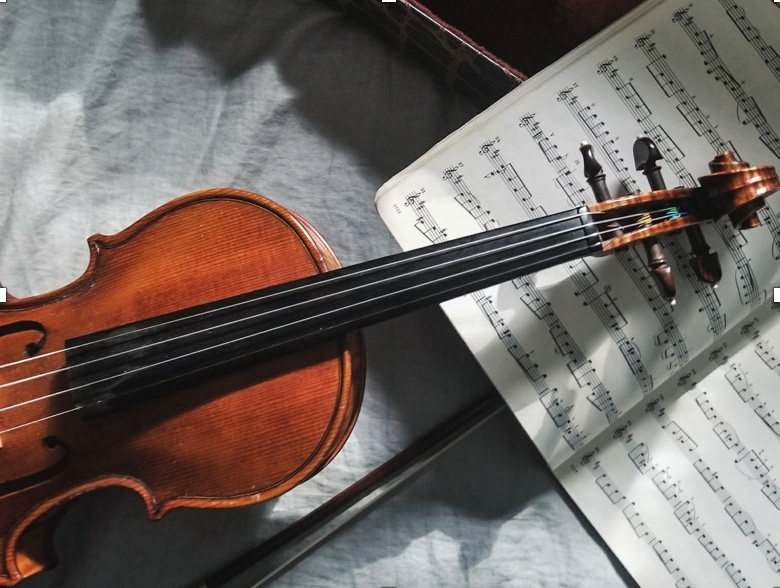 Lana Trotovšek (Violin) and Maria Canyigueral (Piano) will be with us for a great evening of music. 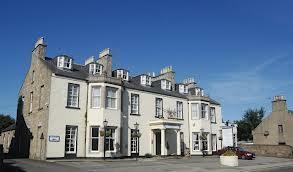 The programme will be…..
Why not visit The Kintore Arms for High Tea before the concert for an extra treat.